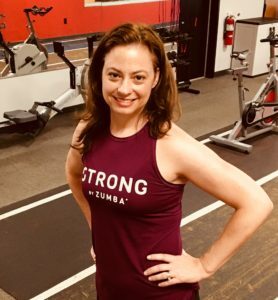 Laura has always enjoyed being active, whether it be playing sports like basketball, softball, and racquetball, or strength training and kickboxing at the gym. She tried Zumba for the first time in the fall of 2009, and she knew she was hooked from the very first class! Laura got licensed to teach Zumba in 2015 and Strong by Zumba in 2017. She also achieved her personal trainer certification through ISSA in 2016.